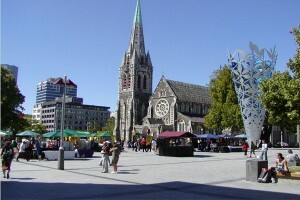 ARRIVE-CHRISTCHURCH – On arrival in Christchurch, ‘The Garden City’, seat in coach passengers will be met by our local representative and privately transferred to your hotel. Self drive passengers will collect your rental car at the airport and drive to your hotel. CHRISTCHURCH–DUNEDIN – Travel south across the Canterbury Plains to reach the Scottish influenced city of Dunedin, renowned for the local wildlife and Otago University. Enjoy a sightseeing tour of Dunedin city this afternoon. In winter months (May – September) the sightseeing tour of Dunedin city will be taken on the morning of Day 3 allowing a free afternoon on arrival for optional activities. 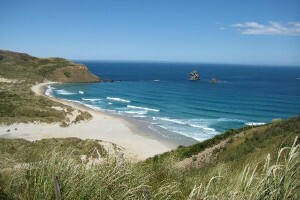 DUNEDIN–QUEENSTOWN- A free morning for optional activities before departing Dunedin. Travel to Queenstown this afternoon. For seat in coach passengers, this will start with a train journey through the Taieri Gorge to Pukerangi, then continue by coach following old gold-mining trails. MILFORD-SOUND- Follow the southern arm of Lake Wakatipu to Lumsden, and onward to Lake Te Anau. Enter the Eglinton Valley and travel through the breath taking man made Homer Tunnel to reach Milford Sound. 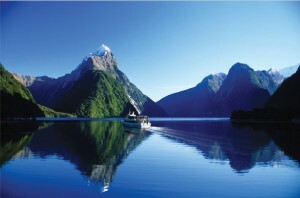 Enjoy a cruise on this world famous fiord, dominated by Mitre Peak and the cascading Bowen Falls. Return to Queenstown. 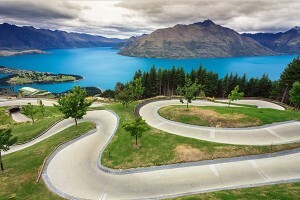 QUEENSTOWN- A free day to explore the endless optional attractions available. 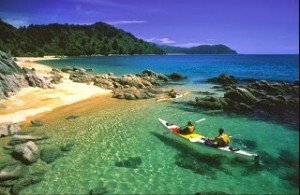 Queenstown offers bungy jumping, jetboating, white water rafting, gondola rides and much more. Optional activities not included in the tour price. QUEENSTOWN–GLACIERREGION- Travel along the shores of Lakes Wanaka and Hawea to the Haast Pass. 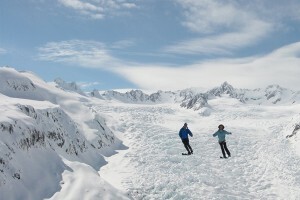 Continue up the West Coast past spectacular mountain ranges, native forests and lakes to the glacier region of Franz Josef and Fox Glaciers. GLACIERREGION–CHRISTCHURCH- Travel north to Grey mouth today and board the Tranz Alpine train (seat in coach passengers only). Ascend through lush beech forests past the alpine village of Arthur’s Pass before crossing the spectacular Southern Alps. Travel over the Canterbury Plains to reach ‘the garden city’ of Christchurch. DEPARTUREDAY- Your arrangements conclude today with a departure transfer or the return of your rental car.